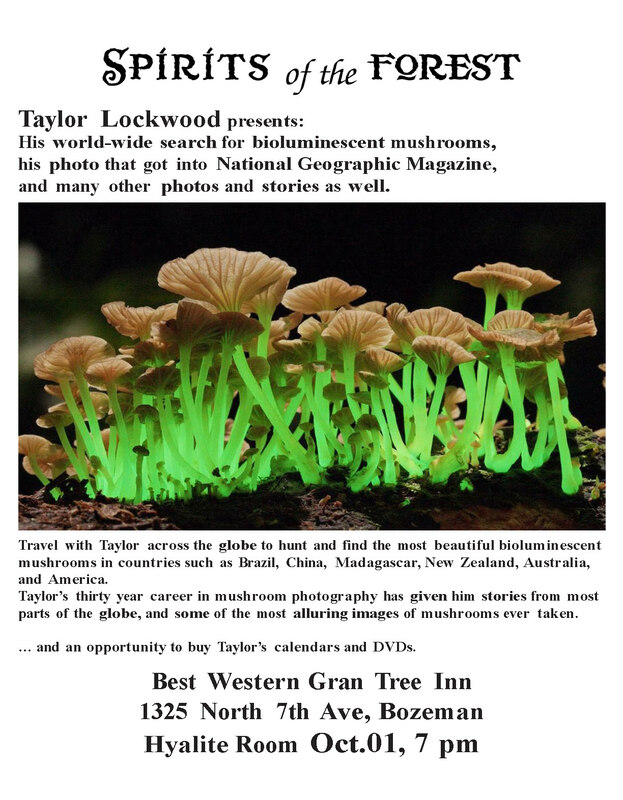 Travel with Taylor Lockwood across the globe to hunt and find the most beautiful bioluminescent mushrooms in countries such as Brazil, China, Madagascar, New Zealand, Australia, and America. Experience with Taylor the night sounds of the tropical forest, the thrill of discovery, and the romantic waterfall, Foz do Iguacu. His passionate quest becomes spiritual through disappointments and successes culminating in some of the most alluring images of mushrooms ever taken. The soundtrack to this exquisite autobiographical documentary is entirely Taylor’s original music. 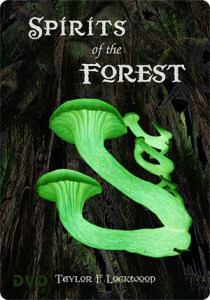 This is the trailer for the new Spirits of the Forest DVD. I will have this DVD in the store soon and it will be available at the ‘Spirits of the Forest’ show in Bozeman! 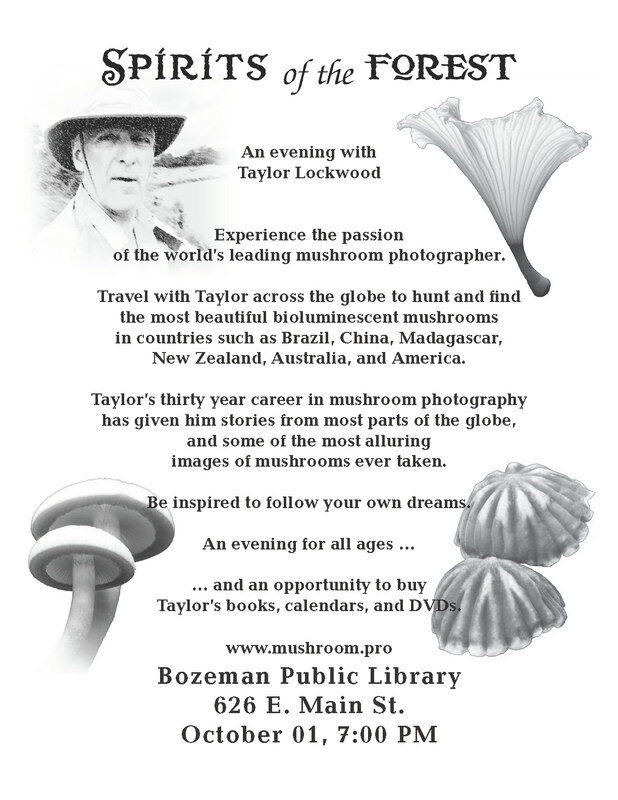 Taylor F. Lockwood comes to Bozeman! 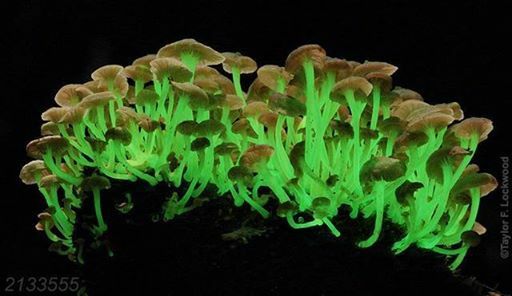 This Taylor Lockwood photo – or one like it – of this bio-luminescent Mycena lucentipes – appears in the May, 2014 issue of ‘National Geographic,’ across a two-page spread! Very Impressive Photo! Congratulations, Taylor!!!!! This is just some of the cool stuff we will see on the Spirits of the Forest Tour. Stay tuned for more exciting news from Taylor Lockwood!